65x62mm. Vintage raw brass. New old stock. Stock Status: Sorry! These are all gone! 65x62mm. 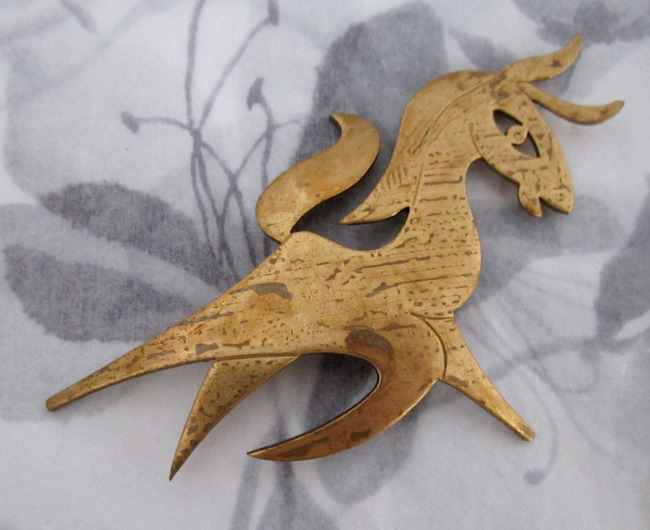 Vintage raw brass stylized mid century modern horse stamping. New old stock.